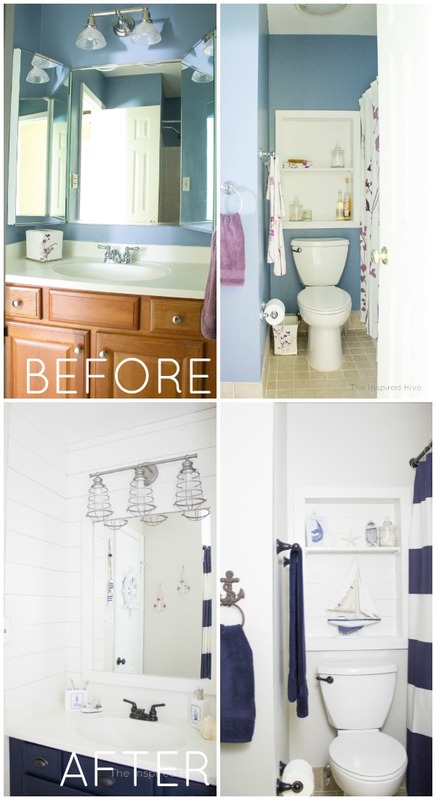 I am so excited that Cade's nautical bathroom makeover is finally complete! 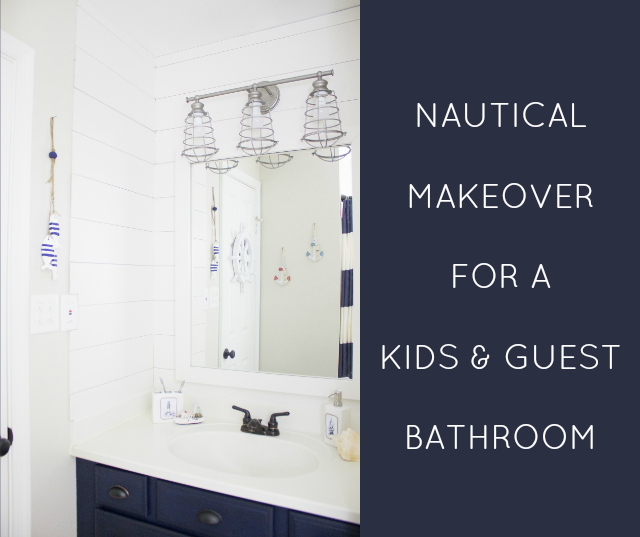 If you saw my shiplap wall, air dry clay fish decor, or my bathroom moodboard, you know we've been working hard on this bathroom and that we wanted a space that was functional and appealing for both kids and guests. 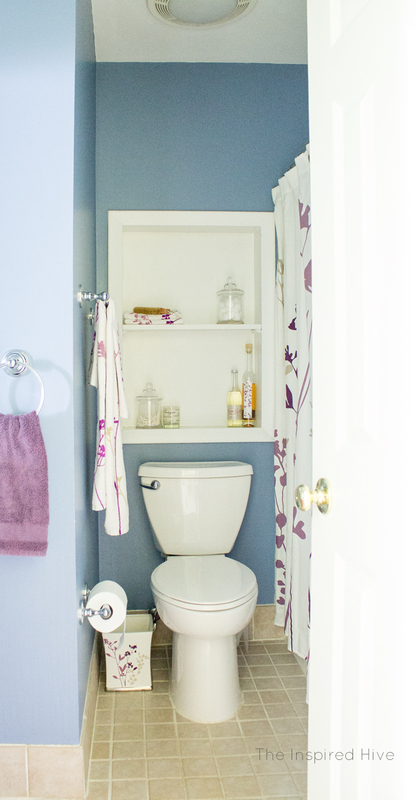 This bathroom is in our upstairs hallway right next to the guest bedroom, so although it will mostly be for our son, Cade (and any future siblings! 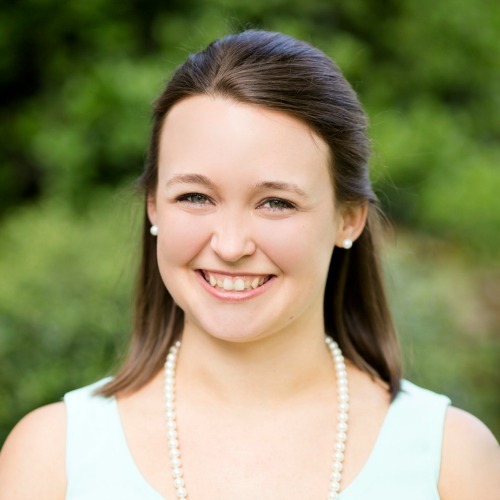 ), it also needed to be great for guests! 1STOPlighting provided product for this post. They are a great source for beautiful light fixtures on any budget! I can't even look! I'm covering my eyes!! We ripped out the angled medicine cabinets and added shiplap in their place. We framed out the mirror to give it a more finished look. Check out that light! 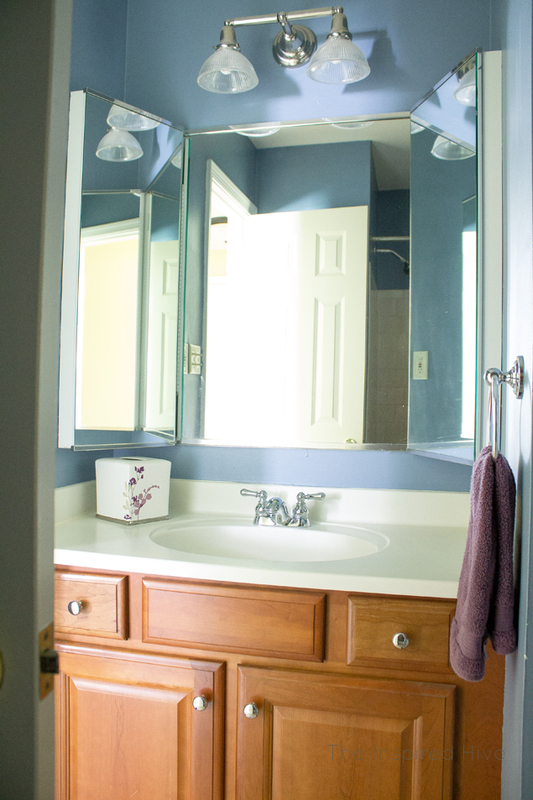 It's the Design House Ajax Vanity Light from 1STOPlighting, and I absolutely love it. 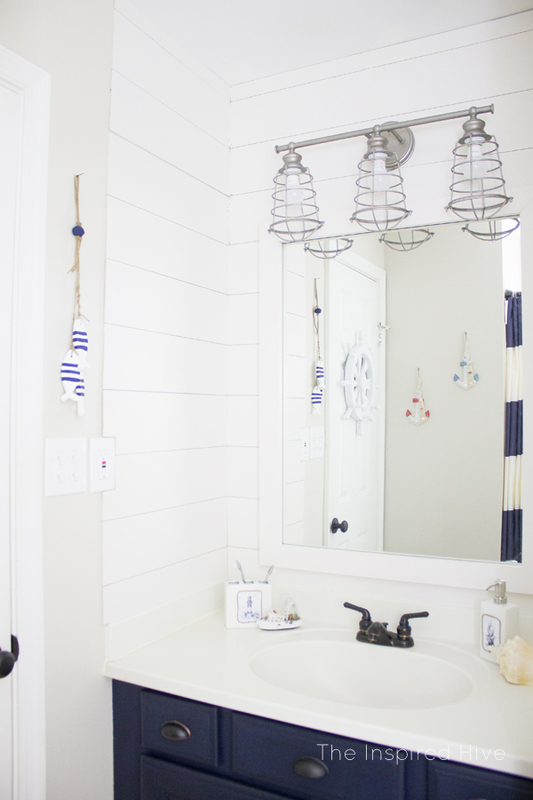 The galvanized finish and the caged shades make it absolutely perfect for a nautical bathroom. 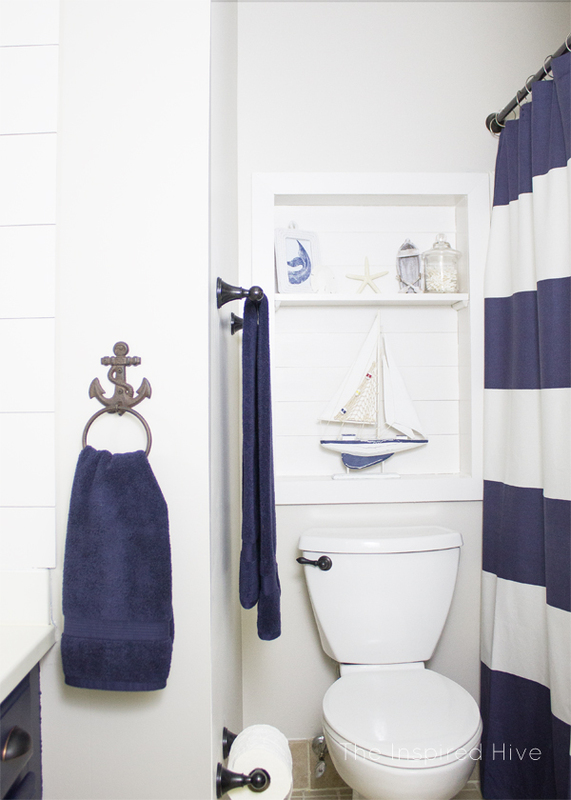 We installed a new bronze sink faucet, and added some fun nautical accessories. 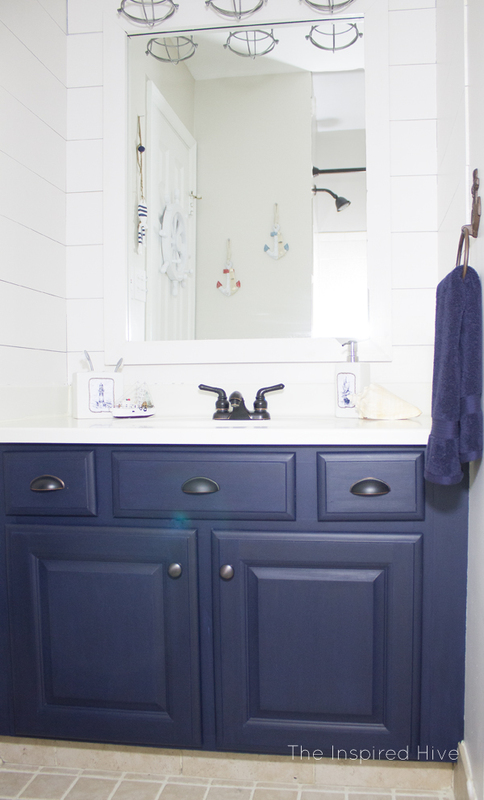 Another change that made a huge difference, was painting the vanity navy blue and adding new hardware. I love how it turned out! 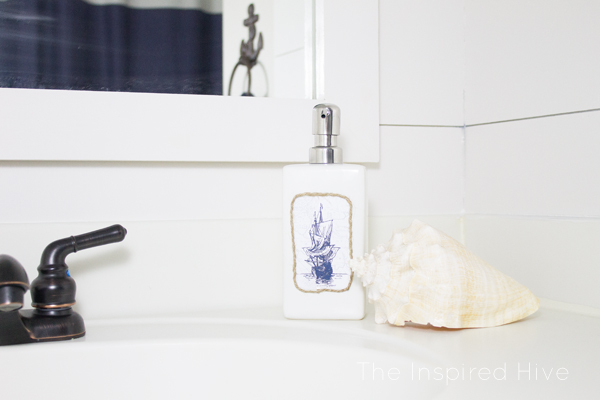 I'll be sharing how I painted our bathroom vanity with chalk paint with no fear of the moisture in the air soon! 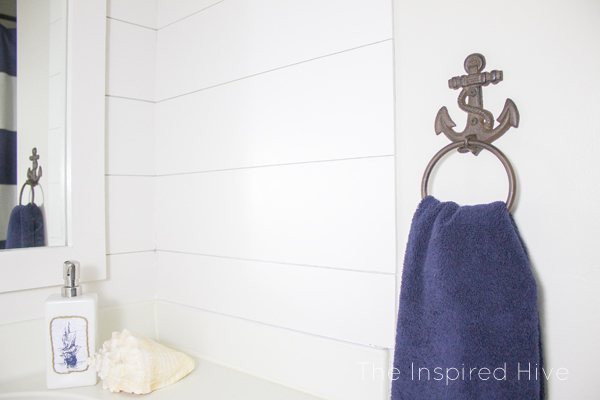 This anchor hand towel holder is so cute and so much better than the boring chrome one that was there before! We bought all new navy blue towels too! The air dry clay fish decor I made fit right in. 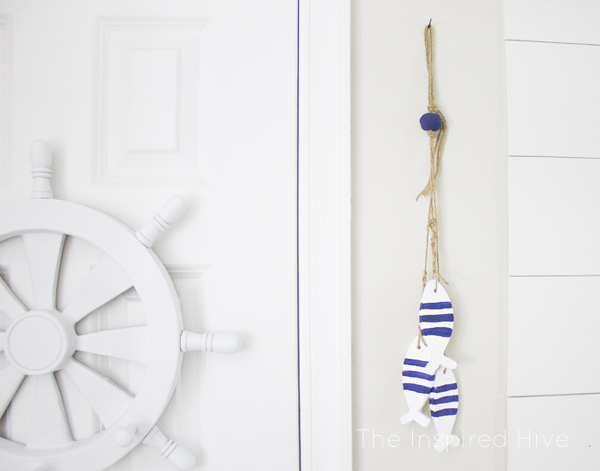 I hung a ship wheel towel rack I found at Home Goods on the back of the door after giving it a coat of white paint. I might add some navy blue and do a little distressing. What do you think? 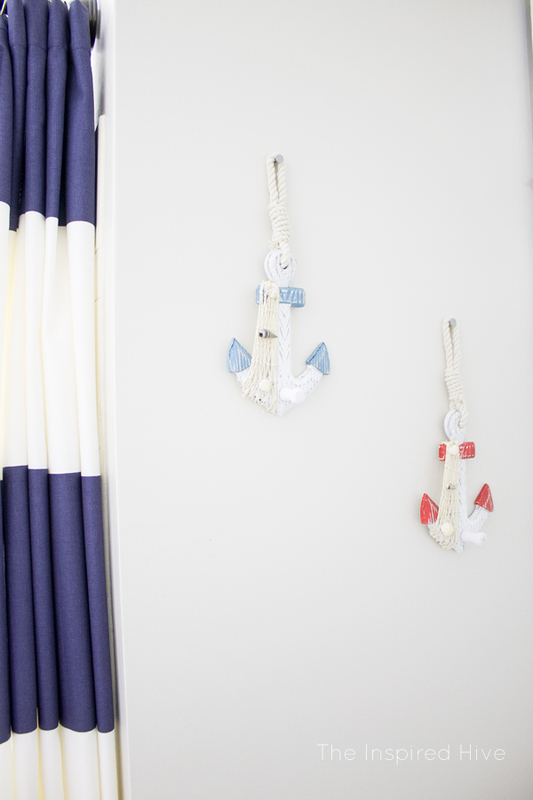 My husband bought these cute little anchor towel hooks for me last Christmas. That's how long I've been daydreaming about this room! 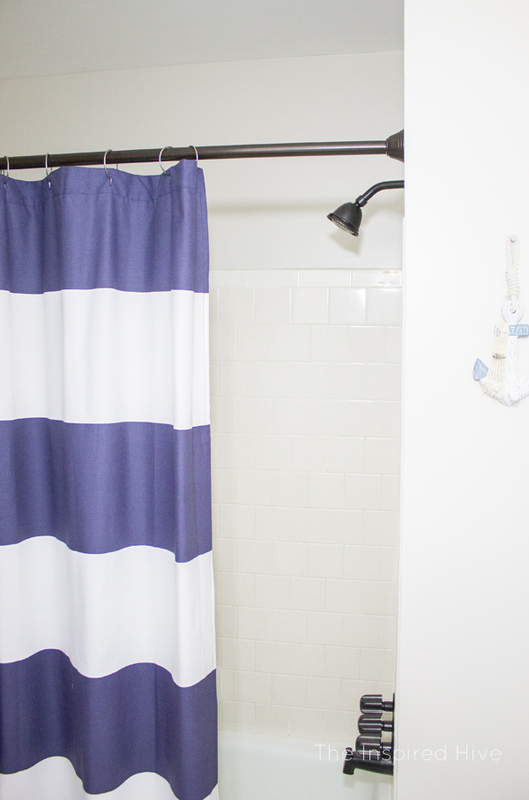 We swapped out the chrome shower curtain rod, shower head, tub faucet, and handles for bronze ones. It makes it look so much more modern! Another favorite change was the shelving. We removed the old molding and reframed it for a cleaner look. 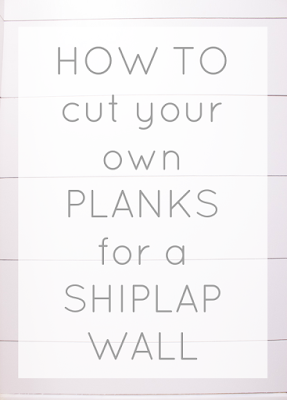 We also installed faux shiplap to the back using thin balsa wood. We moved the shelf up higher to accomodate this cool sail boat I found in the Outer Banks last summer (here's a similar boat). I really can't believe the difference!!! It looks SO much better! A big thanks to 1STOPlighting for providing the galvanized light fixture. I think it really pulled the whole space together! It's incredible what an easy lighting upgrade can do for a space. Cabinet paint- Americana Decor Chalky Finish in "Honor"
I LOVE this makeover! 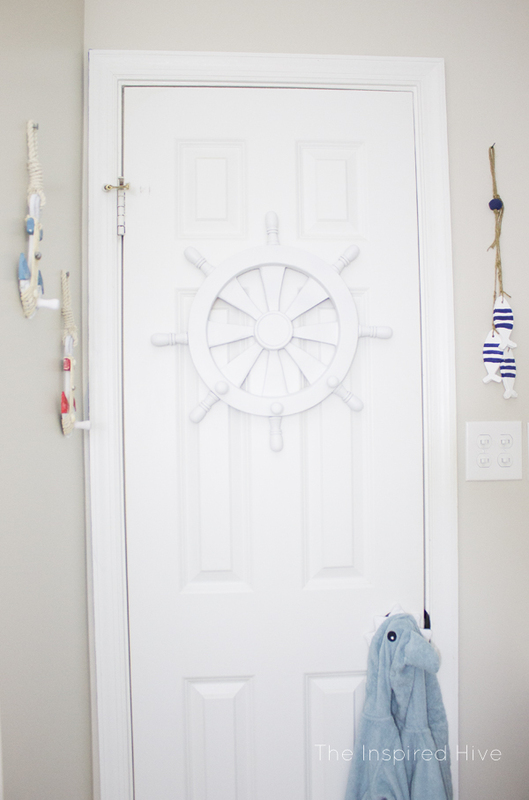 The nautical theme is so adorable and perfect for Little C man and and future brothers or sisters, but it's also sophisticated enough for any grown up guests who may use the bathroom, too! You did a wonderful job. It really is a fabulous makeover! I love your makeover! 1 comment - I am surprised you didn't get the light in the coffee bronze shade to match your other metal accessories. Was there a reason why? Aww thank you so much! Glad you like it! I actually chose the light fixture before anything else! 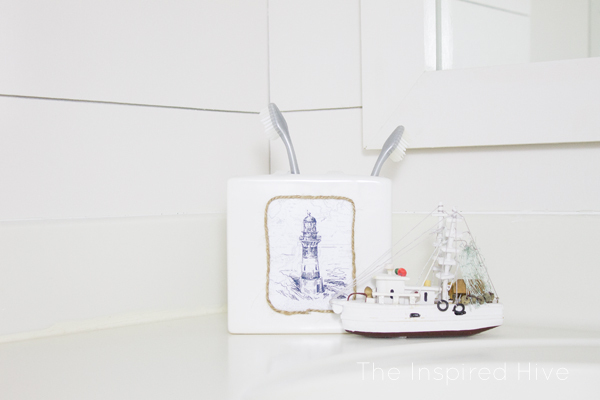 I had my heart set on a galvanized finish, perfect for a nautical space. Unfortunately you can't buy faucets and such in galvanized metal, and since using mixed metals is quite popular in the design world these days, I went with bronze for everything else.